Shenzen is a sub-provincial city in southern China, and it's the city where Foxconn (the biggest Chinese manufacturer of hardware, the one Apple uses for all its products) has got one of its production bases. According to the latest report by website Shanzai.com (via Softpedia), word on the street is that Apple's new iPad is basically ready and its design resembles more that of an iPhone 4, rather than the original iPad's one. Actually, the report goes on to say that this time, in order to prevent leaks to major blogs and media, Apple has come up with different designs of knock-off prototypes. The real thing, though, is finished and it's the rumored 7-inch new tablet. It's got a camera for FaceTime – but we all know that video calling will eventually come to the tablet. Yes there will be a 7” tablet, yes it’s well underway in terms of product development and in fact it’s a finished product. Yes 5 plus different designs have been floating around to help Apple protect itself from people discovering its next product look and feel but... the final design will in fact bear more resemblance to the iPhone 4 stylings than the original iPad design. That’s not a huge amount of information to go on, but if the newer tablets from Apple need to also include new features like cameras and buttons to accommodate apps like Facetime then it just might make sense. Even though this report may sound like yet another fake story from China, I have to admit there are a couple of things that make sense in there. I expect Apple to change the design of the next iPad, and making it look more similar to an iPhone 4 could be the way. Glass on the front and rear of the device? I don't know, but it could look beautiful. As for the 7-inch iPad, I've stated many times in the past that it would very un-Apple to have a new model out by December, and indeed I don't think we'll have one. But for the "iPad 2.0" in April 2011 (or whenever the release date is scheduled), it would make sense for Apple to expand the iPad line and turn it into a "family" of devices with more options and different features. Just like MacBooks. Still, Apple never did it for the iPhone. They never released an "iPhone Pro" or "iPhone Mini" - they always sticked to one product at a time. But the iPad is a device in between phones and laptops, so I don't know. 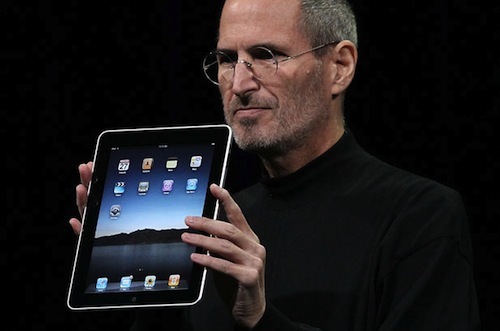 I'm skeptical about the 7-inch iPad, but I wouldn't bet my money against it.